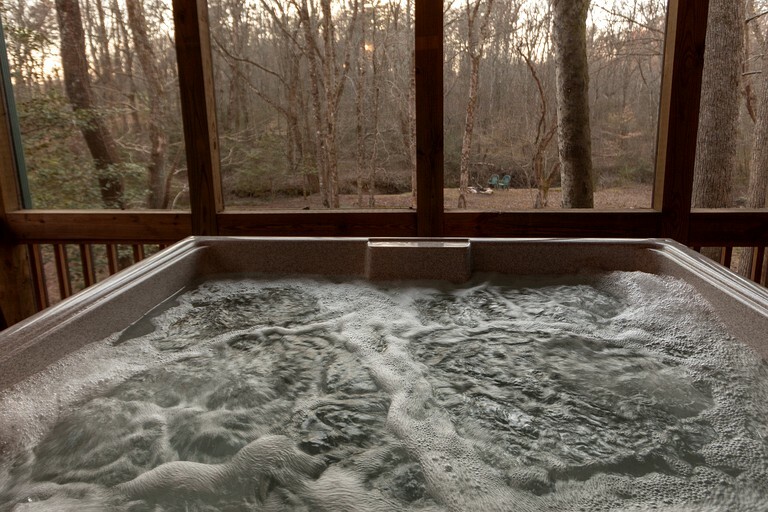 The quiet was much needed! 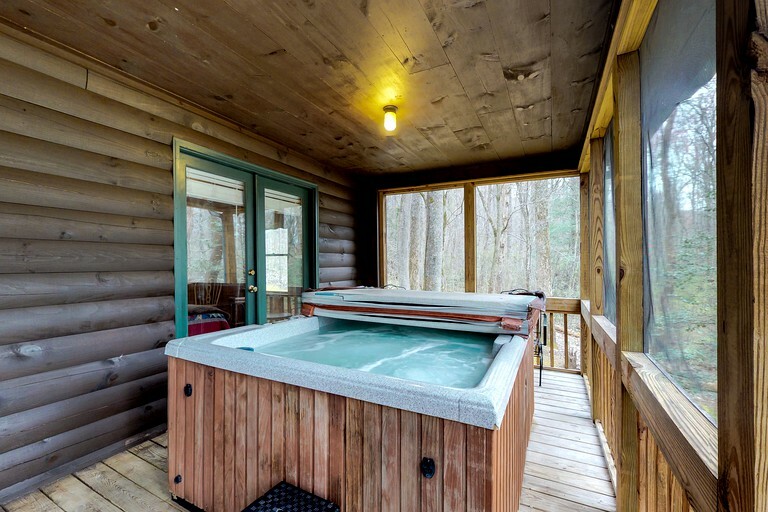 We enjoyed it! 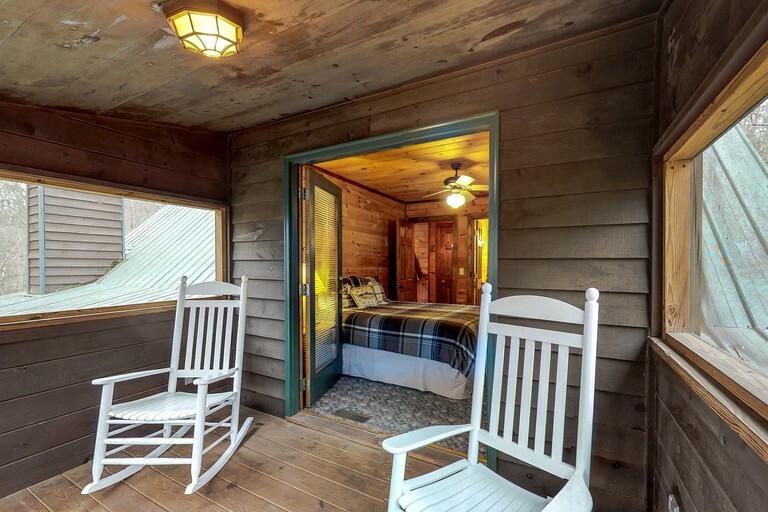 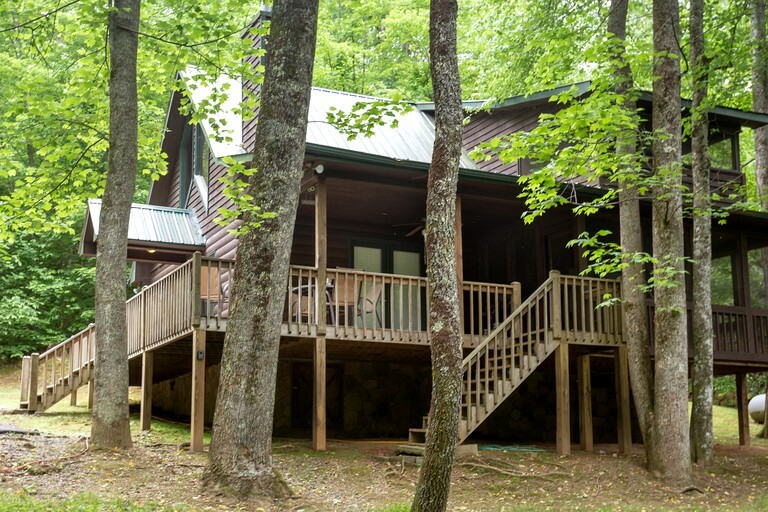 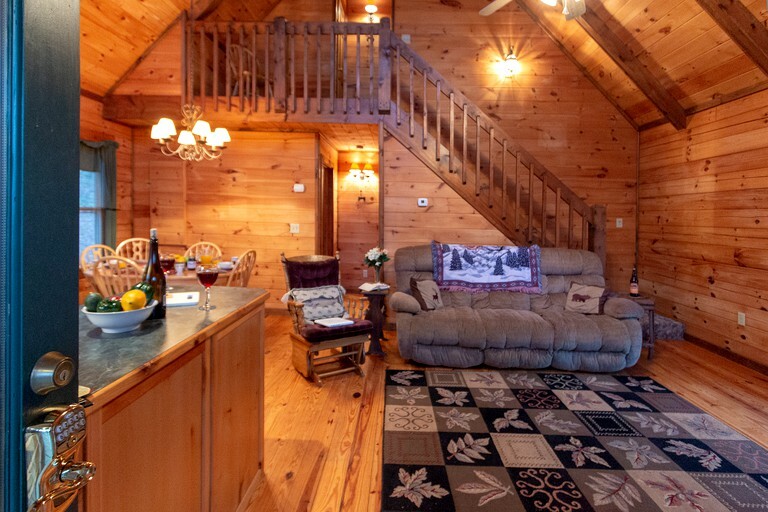 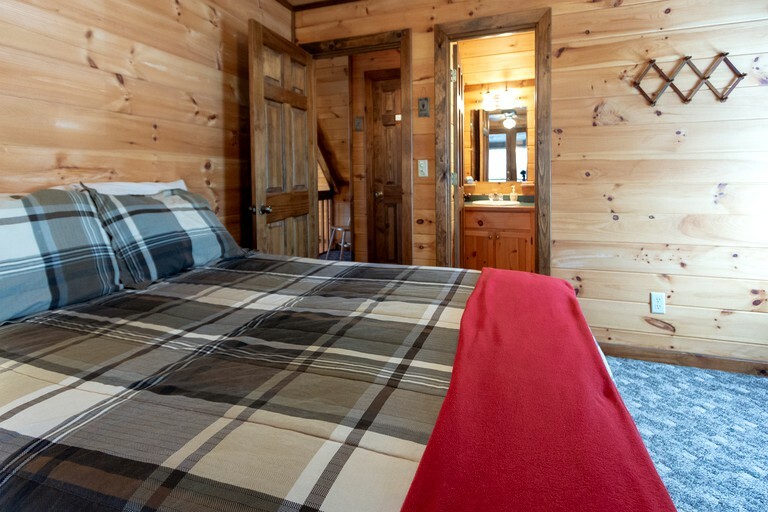 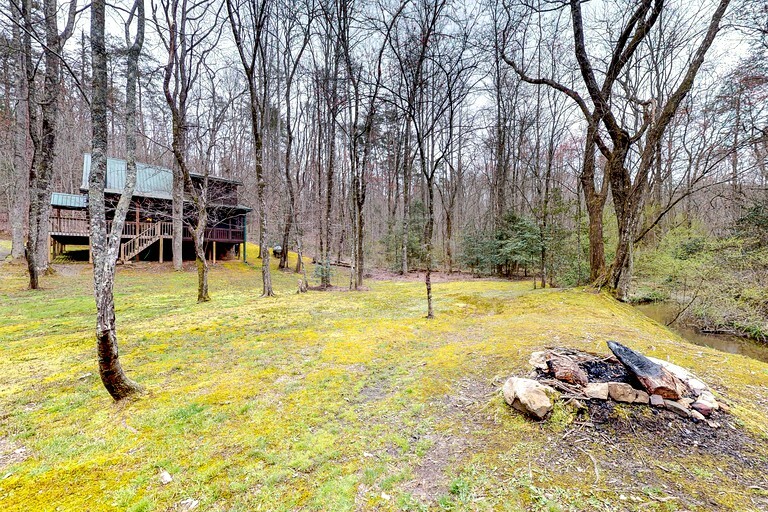 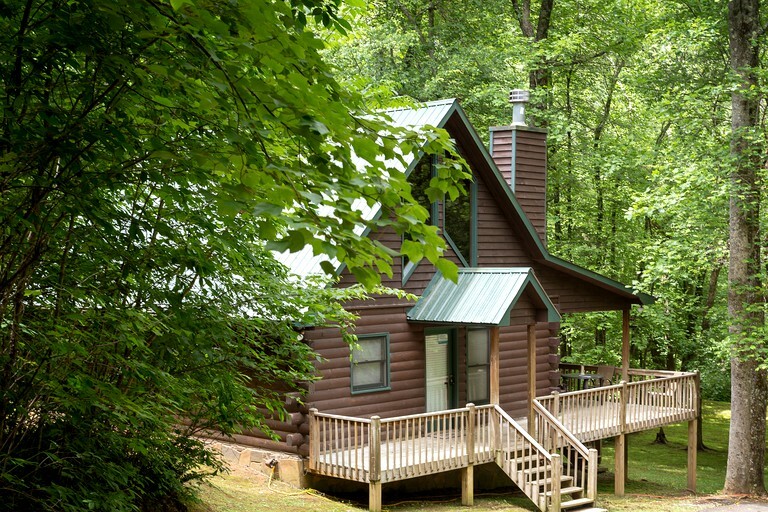 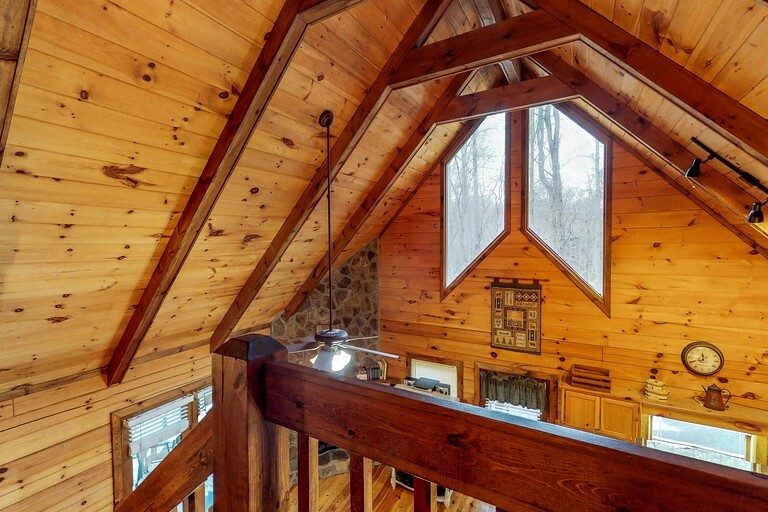 This lovely cabin rental is located near Fall Branch Falls in Georgia and can accommodate four guests. 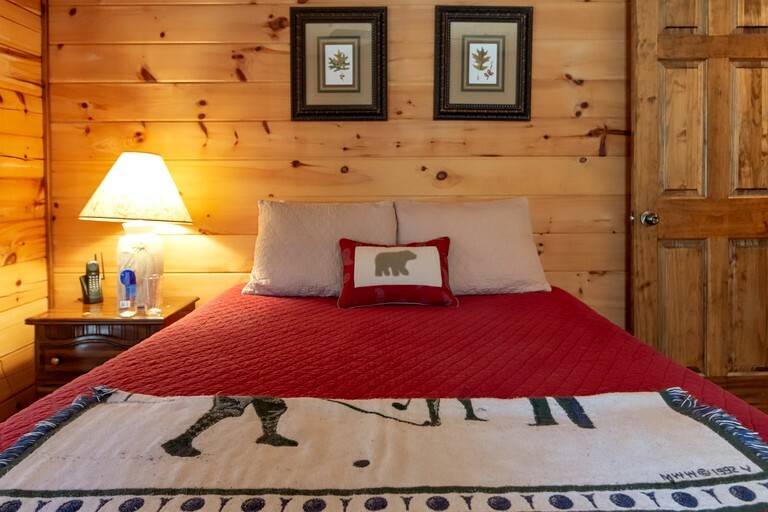 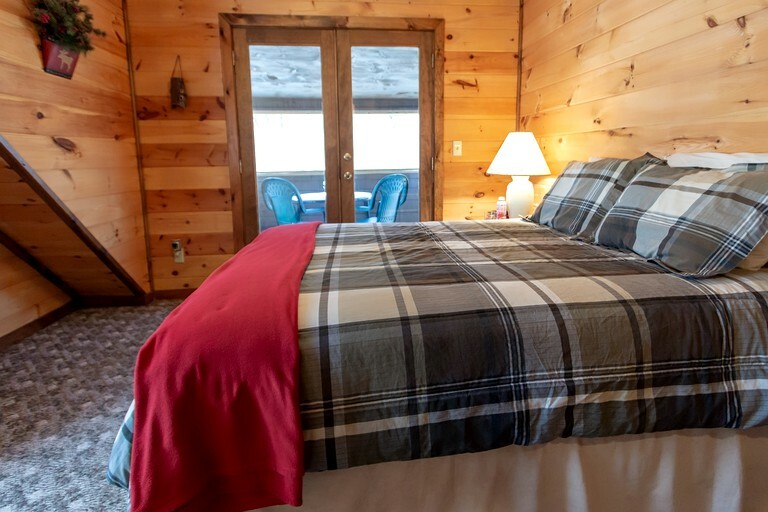 Upon entering the cabin, guests will find two marvelous bedrooms that boast magnificent queen-size beds. 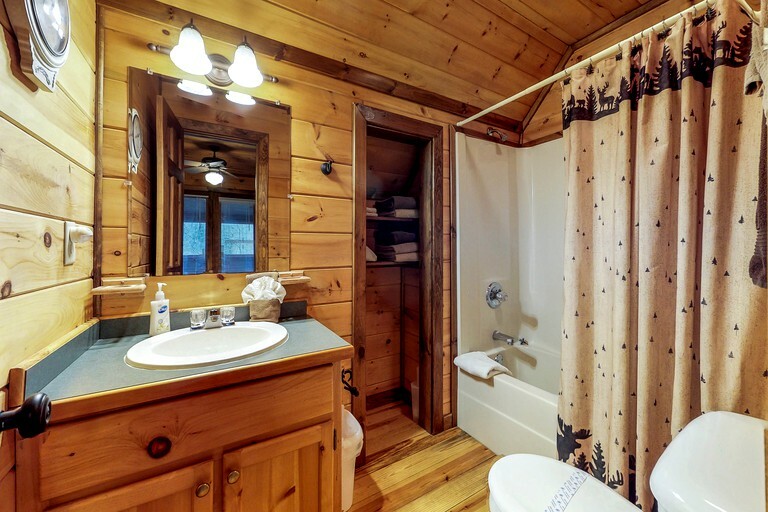 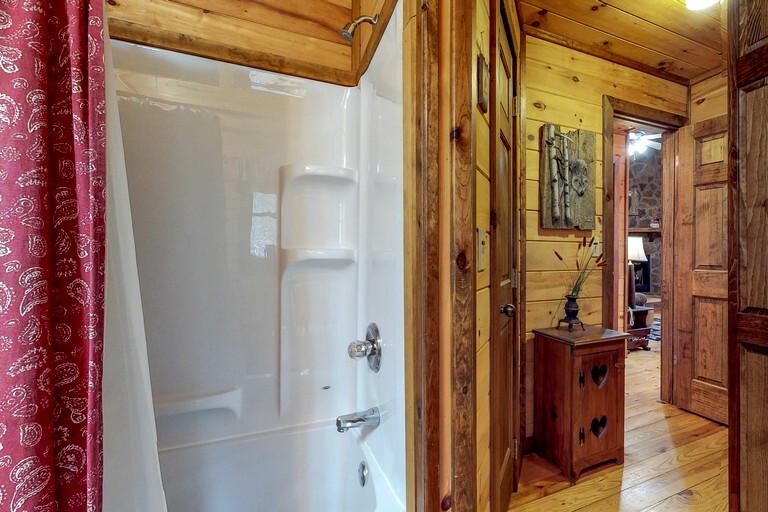 The cabin features two full bathrooms that include all of the essentials, such as a shower, a combination bathtub and shower, a sink, and a toilet. 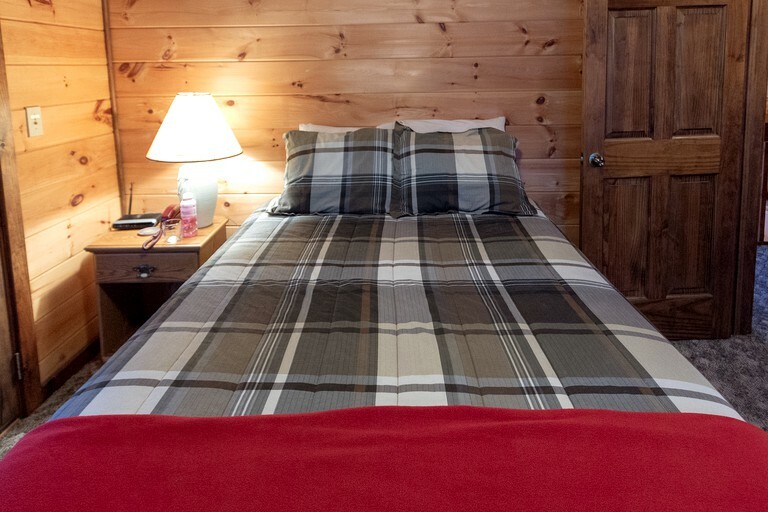 Linens and towels are provided by the host. 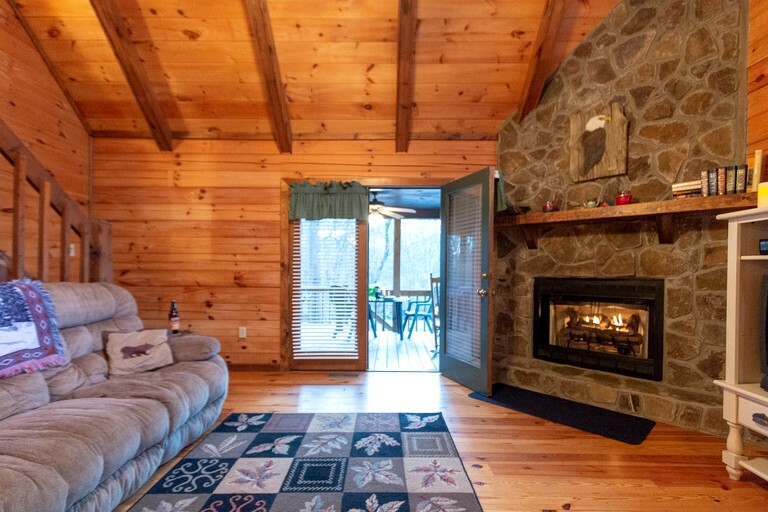 On a chilly night, glampers will adore curling up next to a toasty fireplace to keep warm. 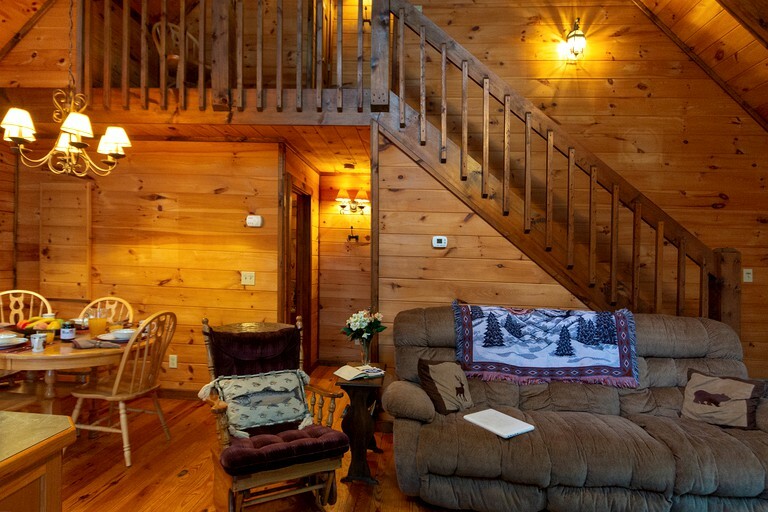 There is also a comfortable plush sofa, which is a perfect nook to unwind with a good book or watch a captivating movie on the flat-screen television. 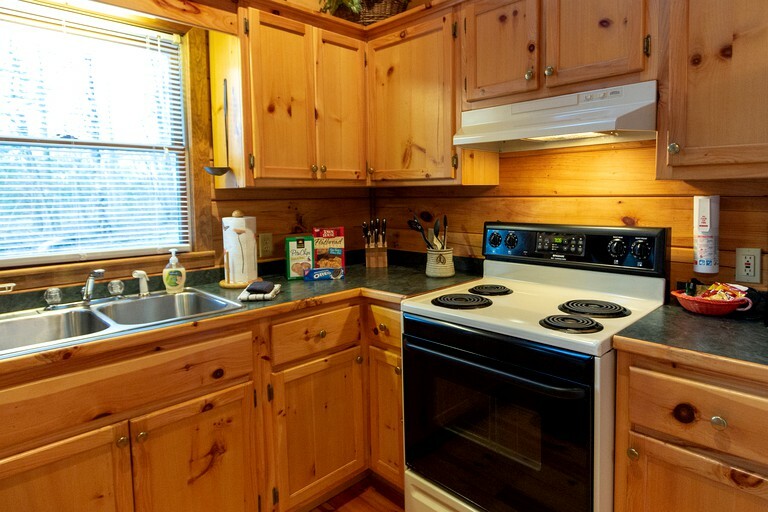 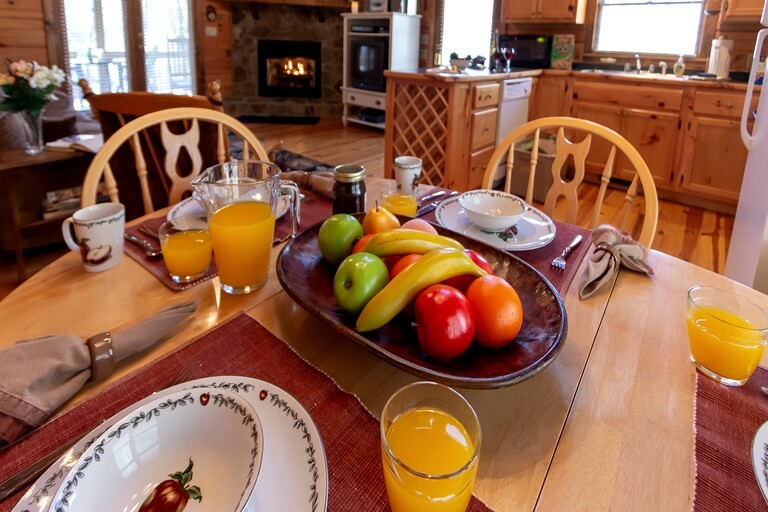 The fully-equipped kitchen comes with all of the amenities needed to whip up a delegable meal, such as a microwave, a stove, a refrigerator, and an oven. 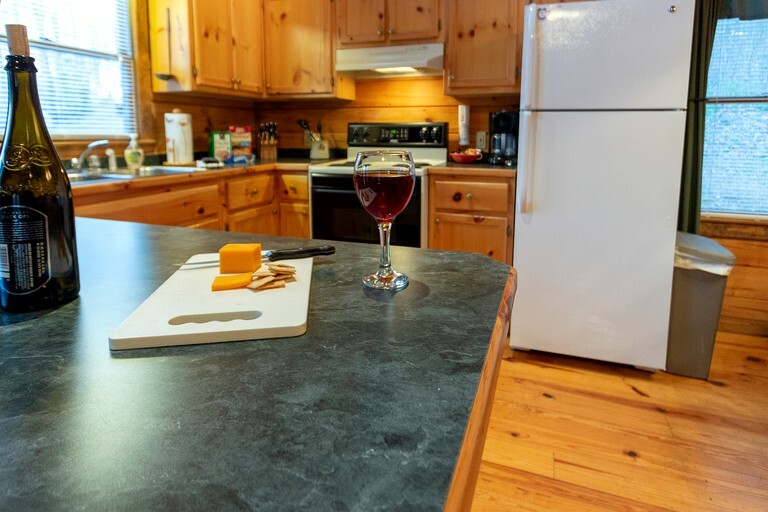 A dishwasher makes cleanup after food preparation a breeze. 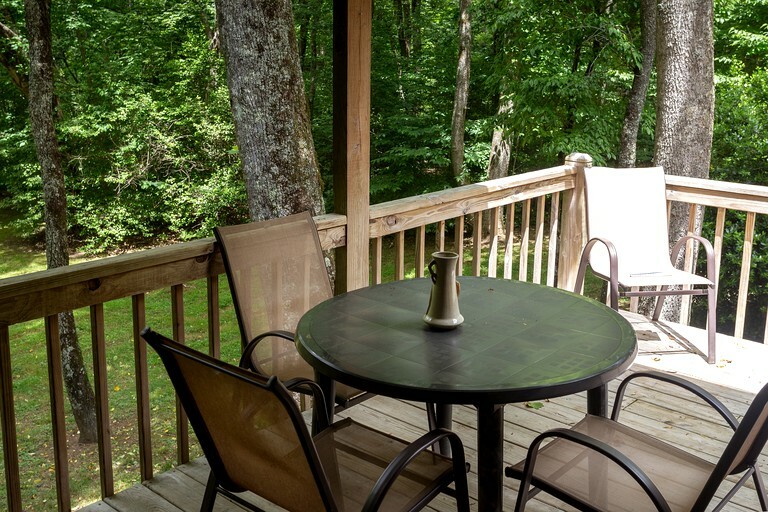 Additionally, coffee lovers can brew up a hot cup using the coffeemaker and enjoy it in the adjacent dining area, or outside on the sunny deck. 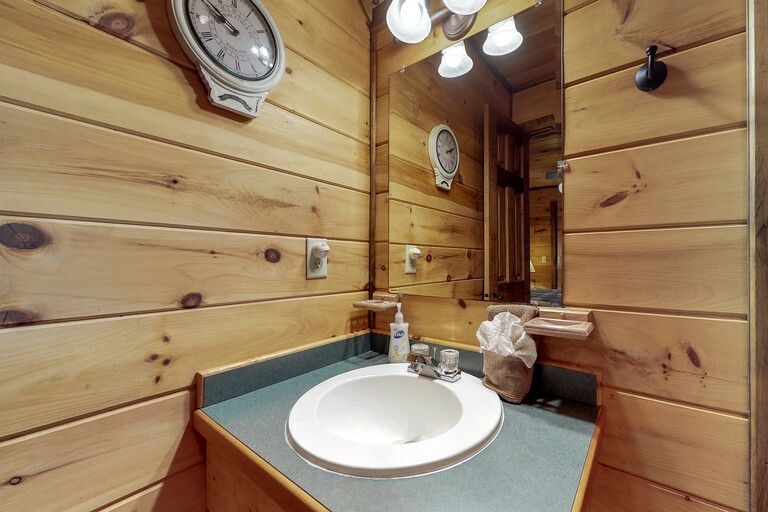 Other amenities include Wi-Fi, and a washer and dryer. 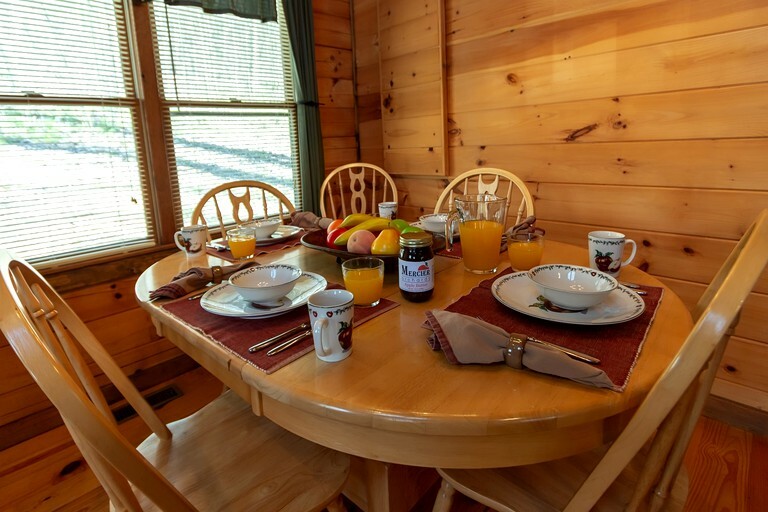 Guests will have everything they need and more to have a comfortable stay with all of the wonderful facilities offered by this accommodation. 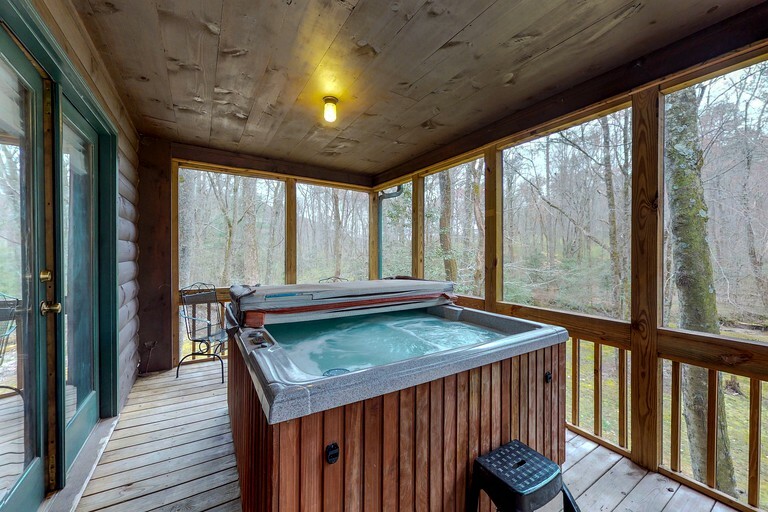 The property boasts a spacious deck that has a luxurious private hot tub, where glampers will love to unwind with a crisp glass of wine. 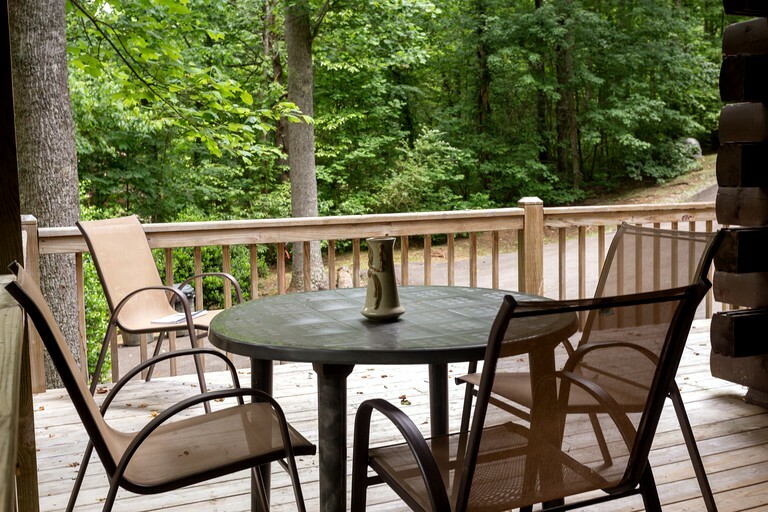 A barbecue makes a culinary experience outside possible, and later, visitors can continue to take advantage of the great outdoors as they tend to a toasty fire using the fire pit. 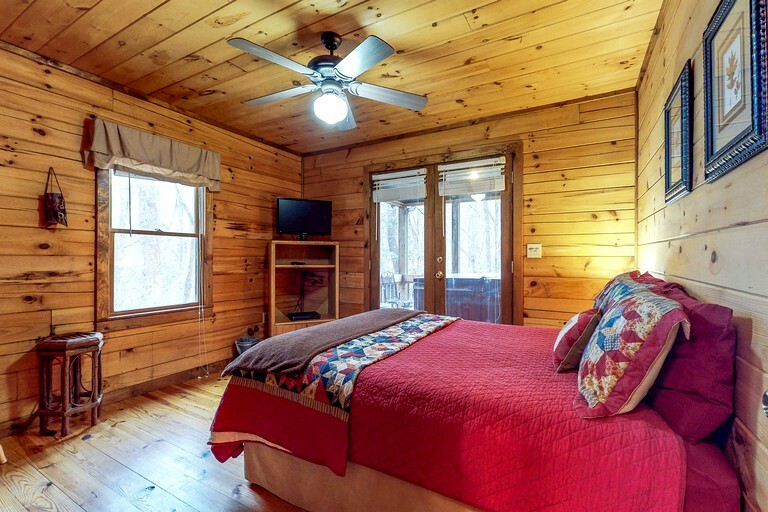 When temperatures get too hot, visitors can seek refuge inside the cabin and use the air conditioning to cool down. 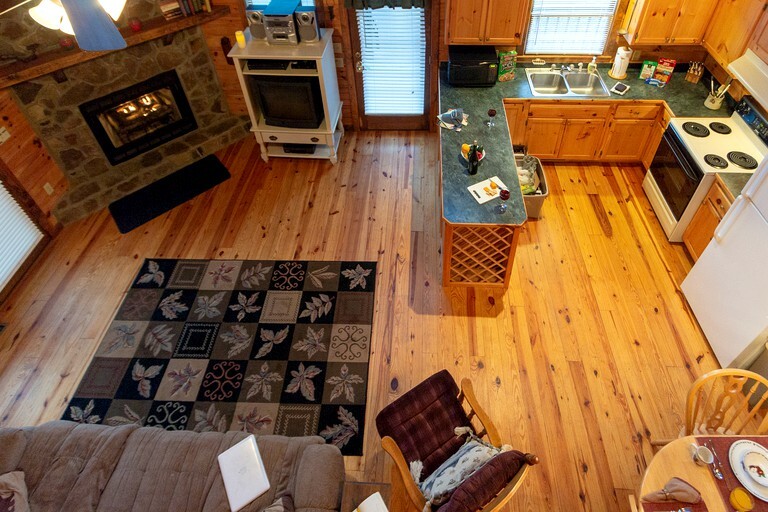 On a rainy day, guests can keep themselves entertained as they watch a movie using the flat-screen television and DVD player. 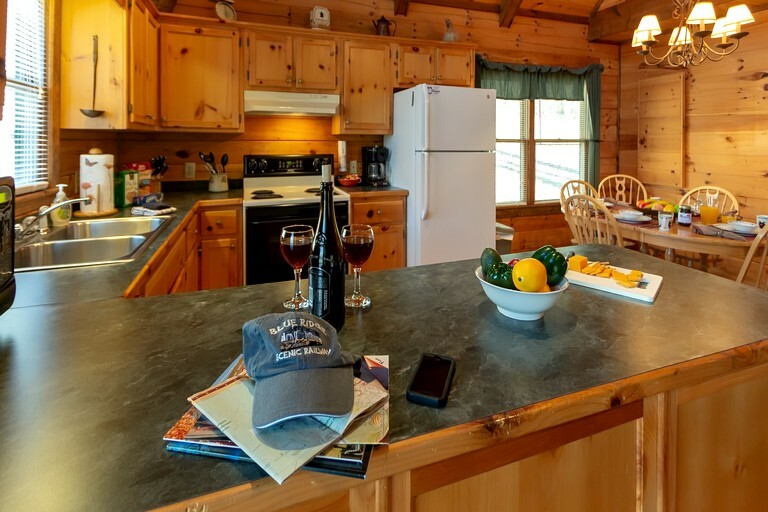 Wi-Fi maintains a connection to the outside world during their nature retreat and allows visitors to share their exciting new adventures with family and friends. 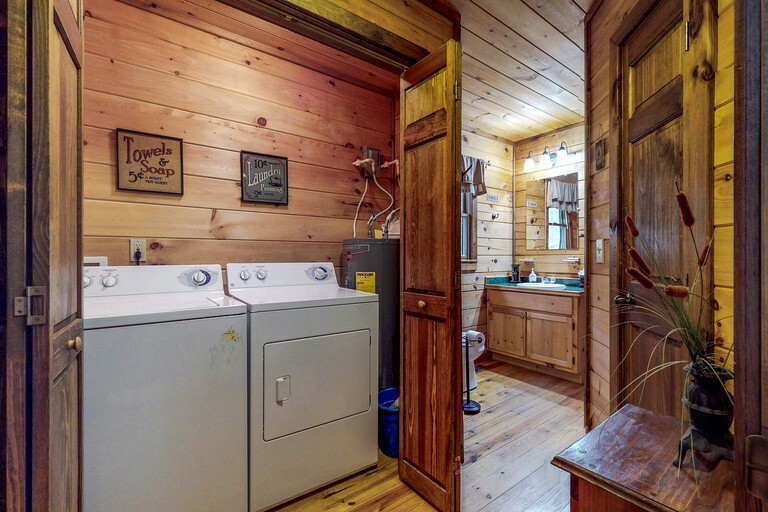 A washer and dryer are also available. 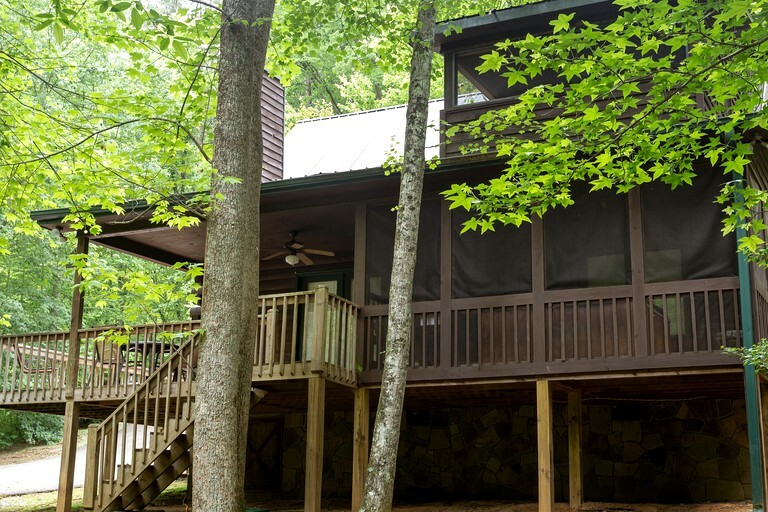 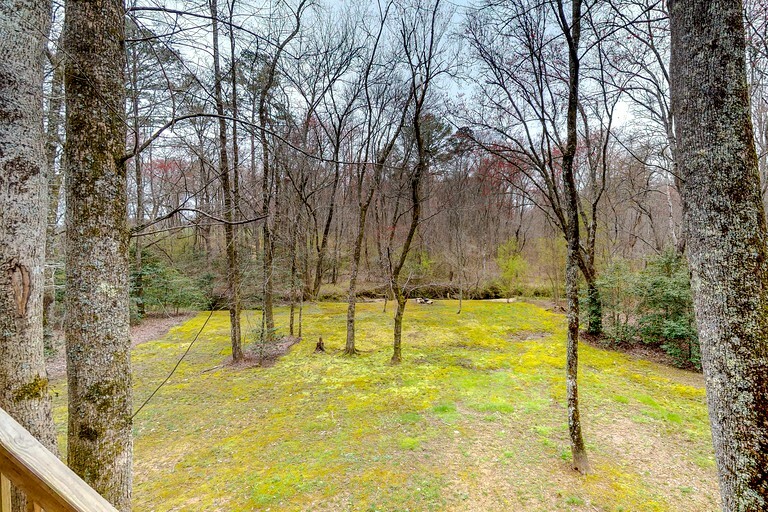 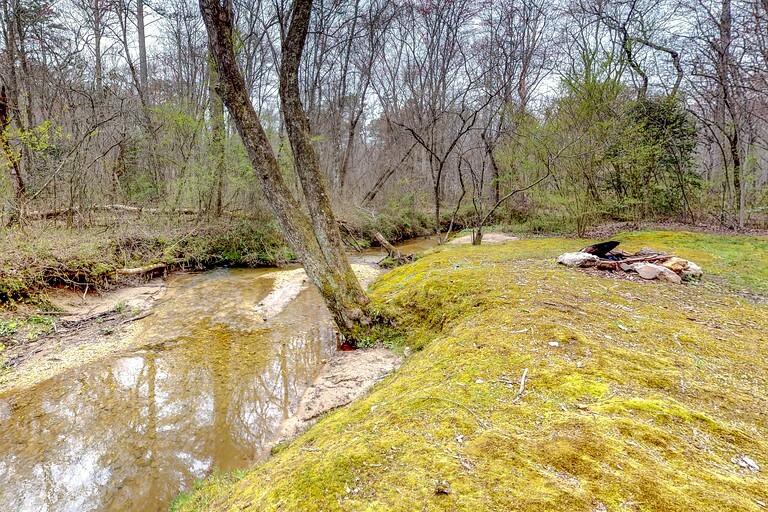 A short scenic stroll from the property’s grounds will lead guests to hiking trails in Chattahoochee National Forest, where after a rewarding hike, they will be presented with breathtaking panoramic views of the picturesque scenery. 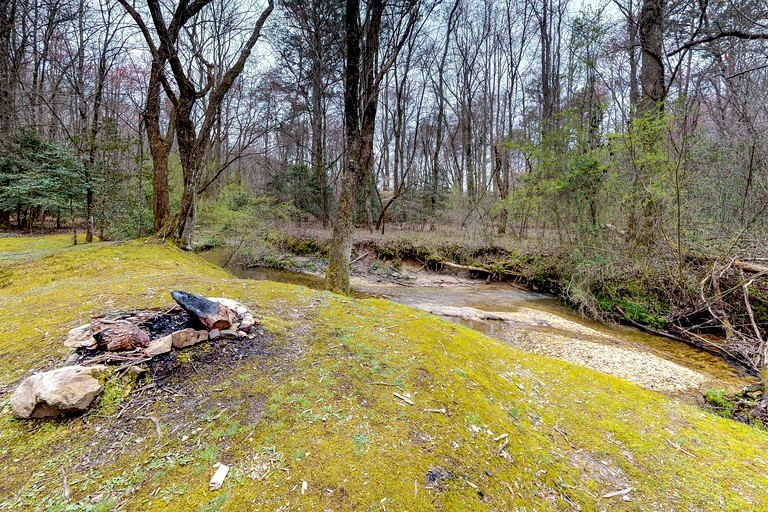 Fishing fanatics can try their luck at reeling in a big catch in one of the forest’s many lakes while cycling buffs can elect to explore the area at fast speeds on the bike trails. 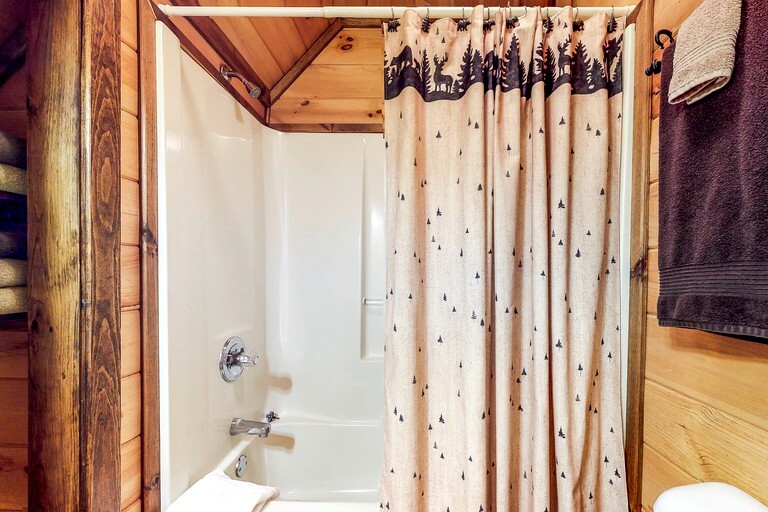 Additionally, an incredible cascading waterfall is just around the corner and makes for a stunning backdrop. 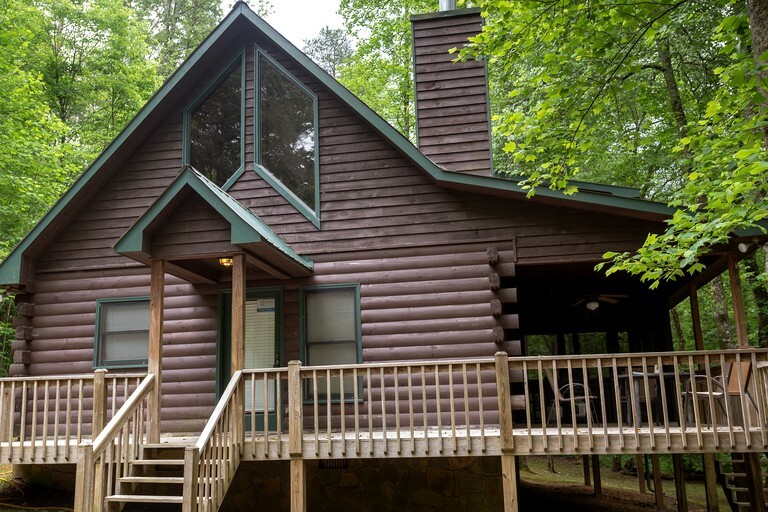 Moreover, a scenic journey to Blue Ridge Lake on a hot summer day will provide guests with a plethora of water activities. 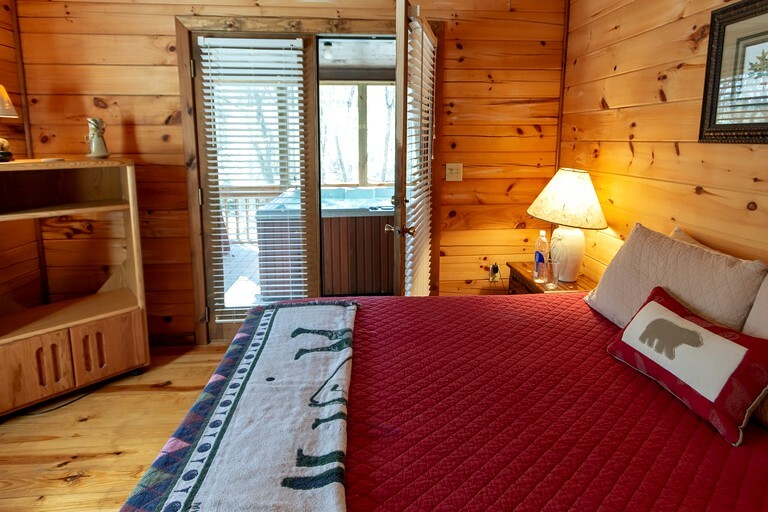 They can take a refreshing swim in is idyllic water, soak up some sun on the warm sands, or take a peaceful kayak ride to explore the area further. 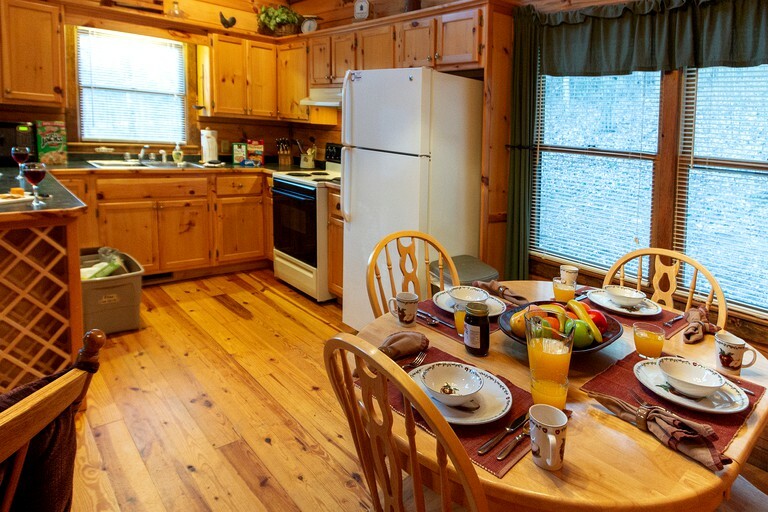 This family-friendly accommodation allows a maximum of two dogs for a fee.